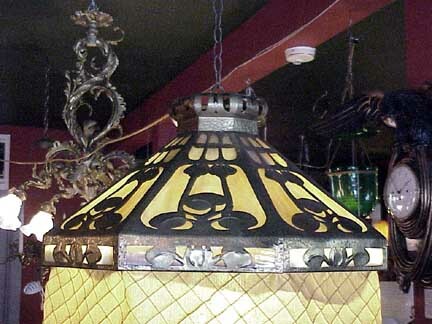 Antique Lighting from The Drawing Room of Newport Antiques of Rhode Island. 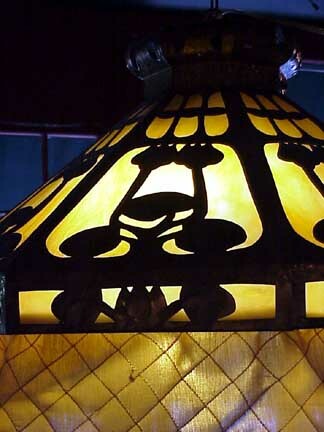 4313: An electric Arts and Crafts / Art Nouveau / Secession era Chandelier. Item # 4313. 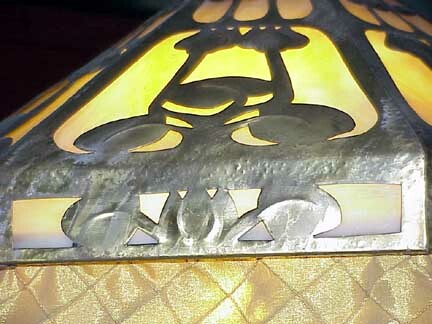 An electric Arts and Crafts / Art Nouveau / Secession era Chandelier. 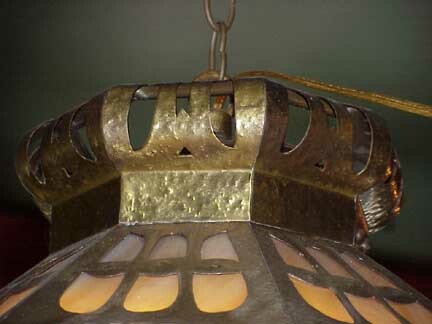 This is a period fixture, c. 1915. Size: 25" across and 14" tall. Suspended from a single chain. 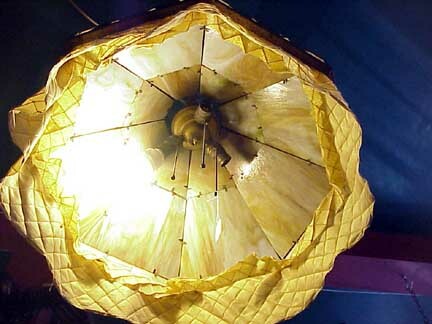 New wiring, old sockets that came with this chandelier. 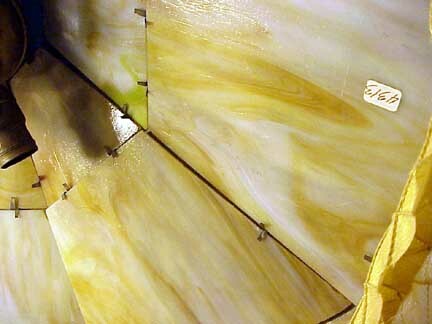 Material: bright gold brass inset with yellow slag glass panels. 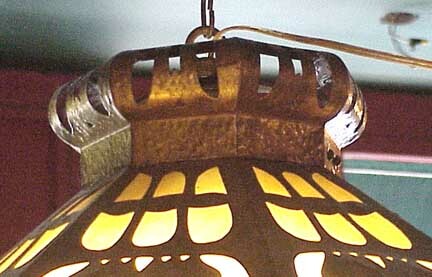 There is a metal wire under the lip where there was probably a beaded fringe attached; now there is a quilted gold fabric hanging from that wire. 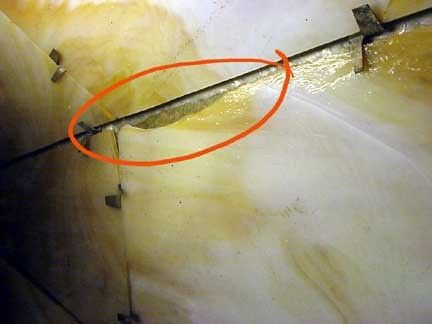 Condition: new wiring and there is small loss to one of the panels as shown in one of the photos (does not show from the outside). Price: $2,750.00.